Top Gun Tours provide quality Swan Valley bus tours through Western Australia’s oldest wine region, the beautiful Swan Valley that’s situated just 20 minutes from the Perth CBD. 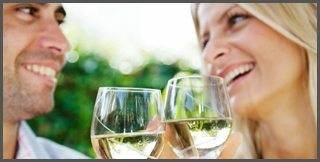 Whether you’re a wine connoisseur or a boutique beer fanatic, we have you covered! Choose from our delectable Swan Valley wine tour, visiting five quality wineries with premium wine tastings at each stop, including a sumptuous two-course meal for lunch at Bistro 10481. To complete the day, sample amazing chocolate and perhaps even finish with a coffee at one of the famous chocolate companies before heading back to your collection point. Alternatively, on our refreshing Swan Valley brewery tour you can sample up to 24 beers at five boutique breweries, with tasty wood fired pizzas and damper & dips for lunch, and beery treats during the day. Want to visit the amazing Feral Brewing? This is stop number one on the tour and you taste 6 of their finest beers. Can’t decide between a beer or a wine tour? 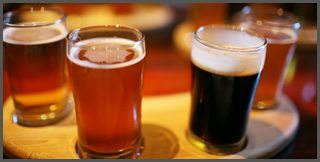 For groups of 12 or more, you can combine both wineries & breweries into one indulgent tour! Start with premium wine tasting in the morning, tantalise your tastebuds with a beautiful two-course meal for lunch (with complimentary drink), then finish the day with craft beer samples at two German breweries. To top it off, price includes tasty treats during the day. And we haven’t forgotten about the ladies! 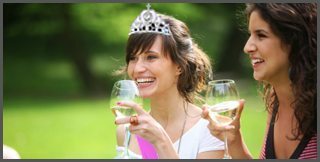 For a memorable day out, get 16 of your besties together for a fun-filled hens day wine tour. This tour doubles as a group function wine tour too. 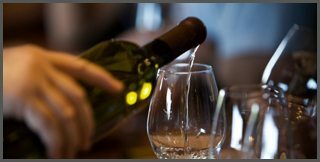 Sample only the best wine with amazing food to match, all with a delectable chocolate stop prior to heading back to your departure point. Want to create your own Swan Valley bus tour? Corporate Packages, Custom Tours and Private Bus Hire are also available via the Swan Valley Bus Charters page. Alternatively fill in the enquiry form, or call (08) 9453 2961 to find out more.